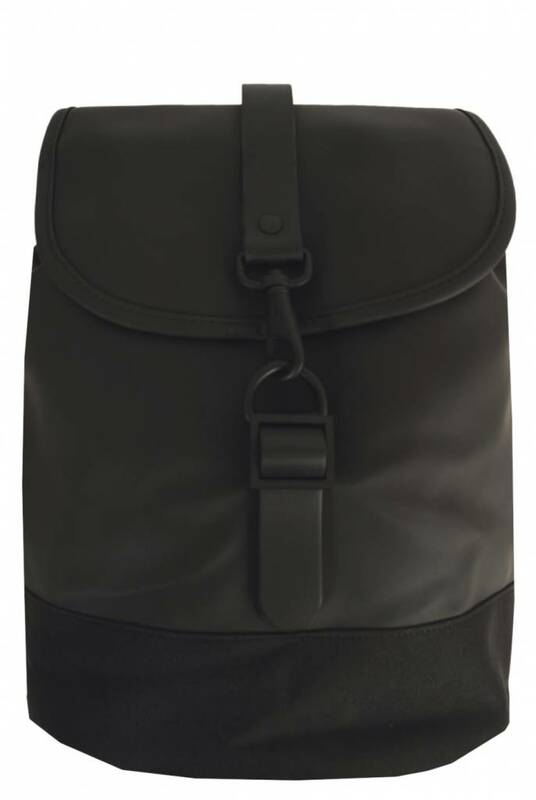 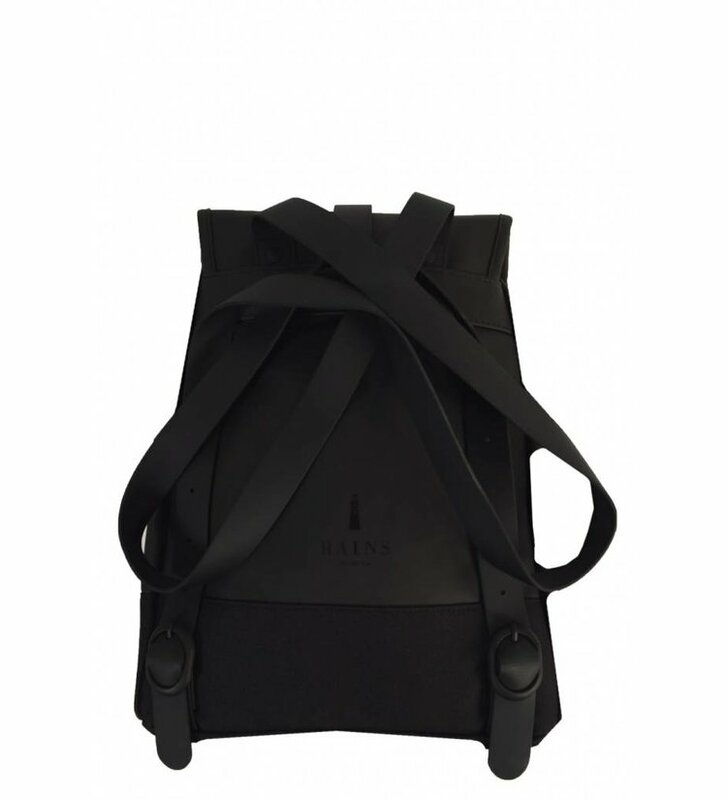 Backpack Drawstring Backpack Black from Rains. 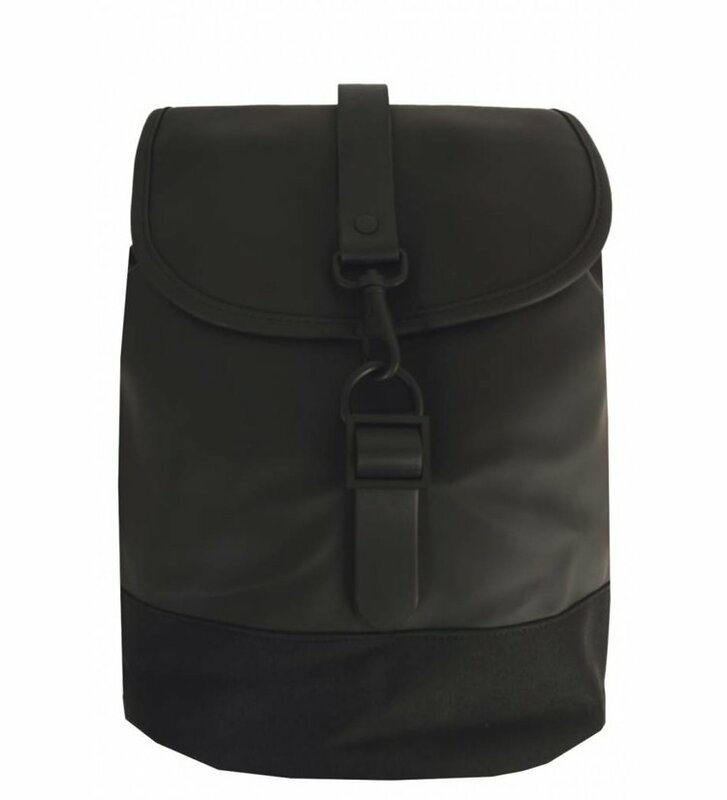 This small backpack is made of a matte, waterproof fabric. 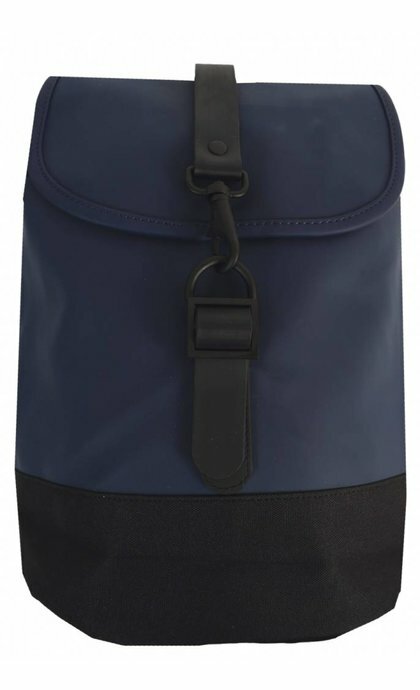 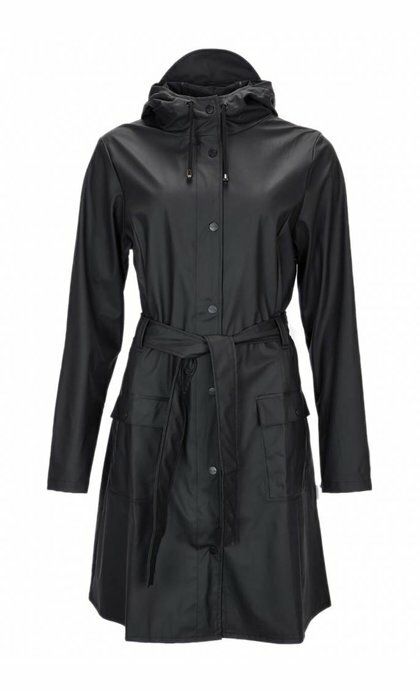 The bag has a main compartment with an inside pocket featuring a zipper. 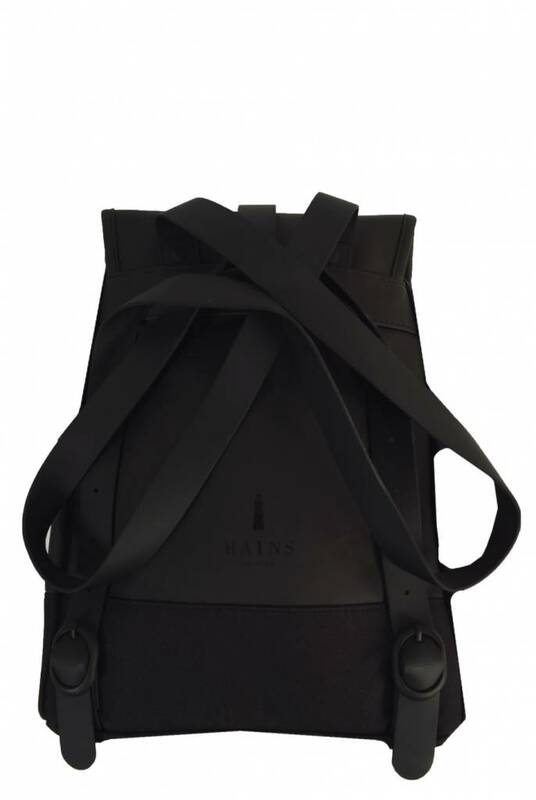 The Drawstring Backpack has adjustable shoulder straps and is completed with the signature hook closure by Rains, the carabiner clasp.